Passports must be in pristine condition. The US embassy will not accept torn or tatty passports . If your passport is damaged in anyway please apply for a new one immediately. Check the expiry date of your current passport. It must be valid for the full duration of the J1 program. Your passport should be valid at least until 1st of November 2019. All other nationalities must have valid passport until at least 1st May 2020. We allow students to register using old passport information, however until we receive a copy of their renewed passport, their J1 application is on hold. 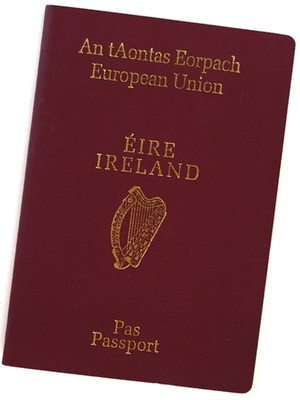 A scanned or posted copy of the passport must be received within 14 days. You can now upload your passport through the Student Uploads in your J1 Account. If you are a holder of an Amercian passport, you do not need to apply for a J1 Visa. We are happy to book you onto your friends flights and provide all other J1 elements. If you are a holder of a Canadian passport, you do not need to go to the US Embassy. If you lose or damage your passport after you apply you must immediately email the SAYIT Office @ j1visa@sayit.ie.